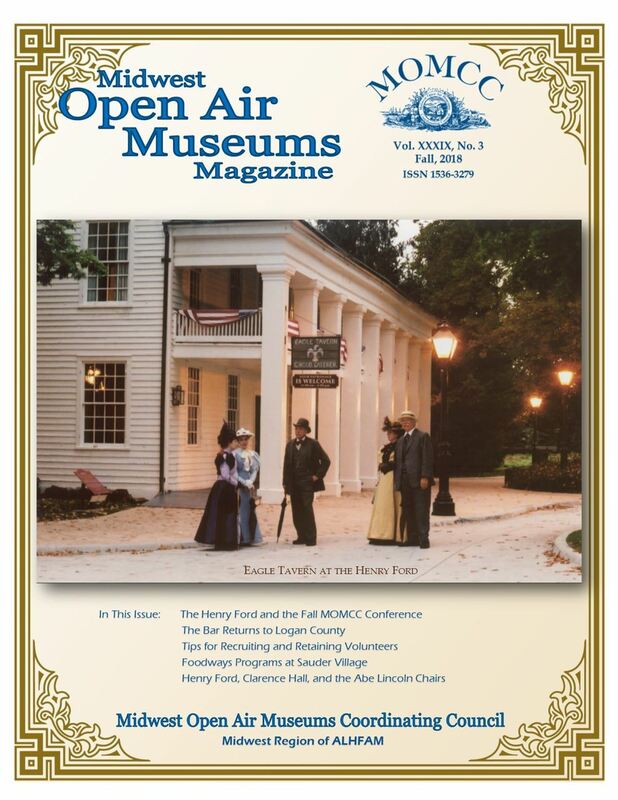 One of the benefits of becoming a member of MOMCC is our magazine which brings great articles relevant to the open air museum field as well as updates about the MOMCC organization. 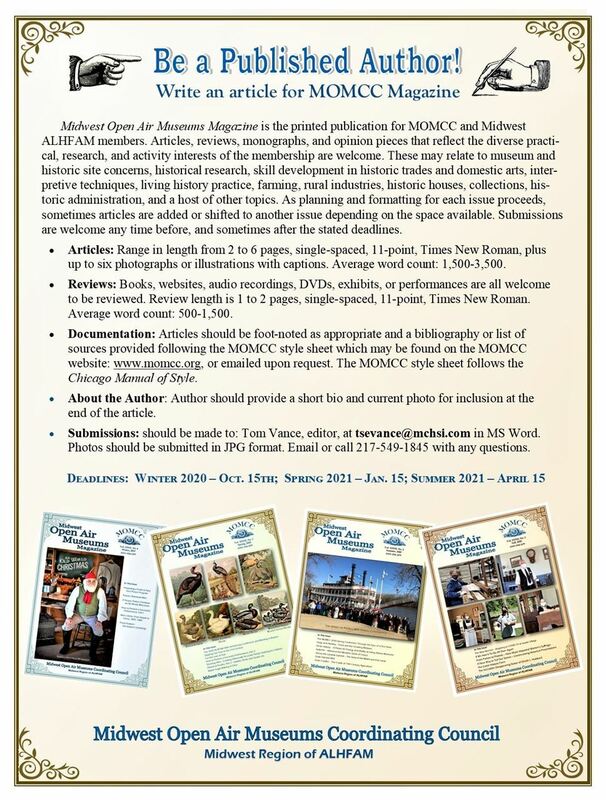 If you are a paying member of MOMCC you will receive the magazine in the mail. 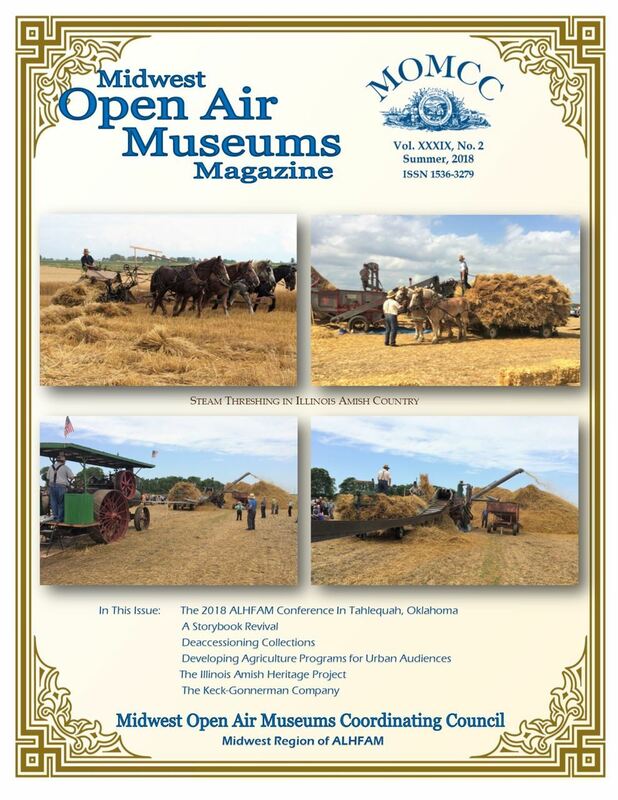 If you are a member of MOMCC through your membership in ALHFAM, you will have access to the electronic version of the magazine by clicking on the link below the cover to access the PDF version. 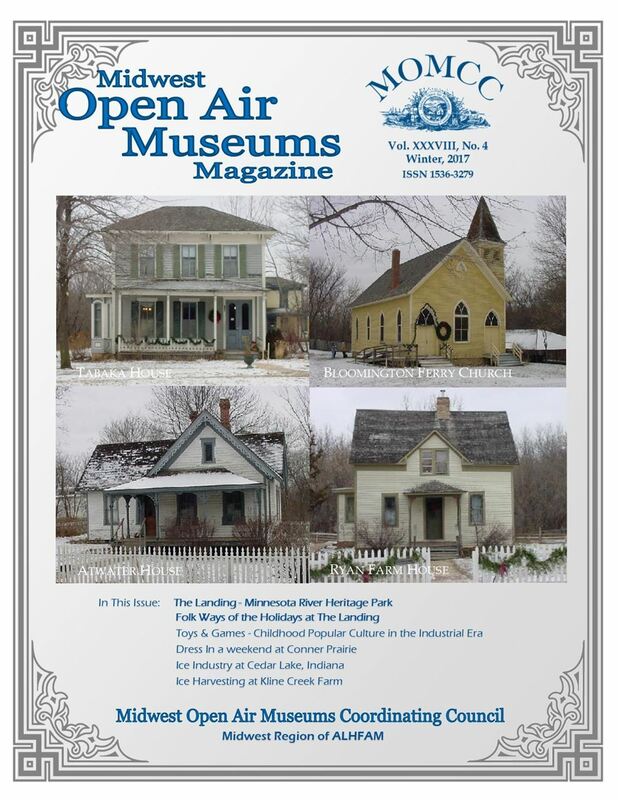 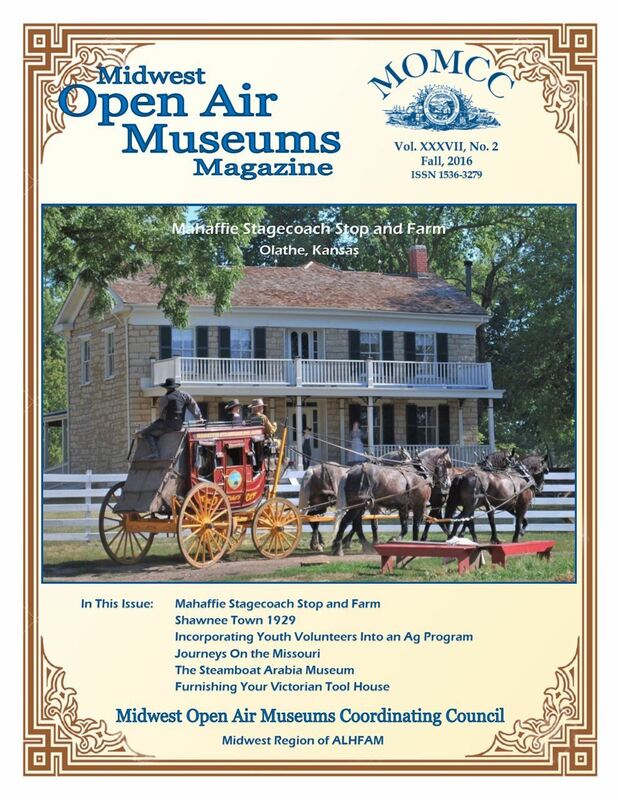 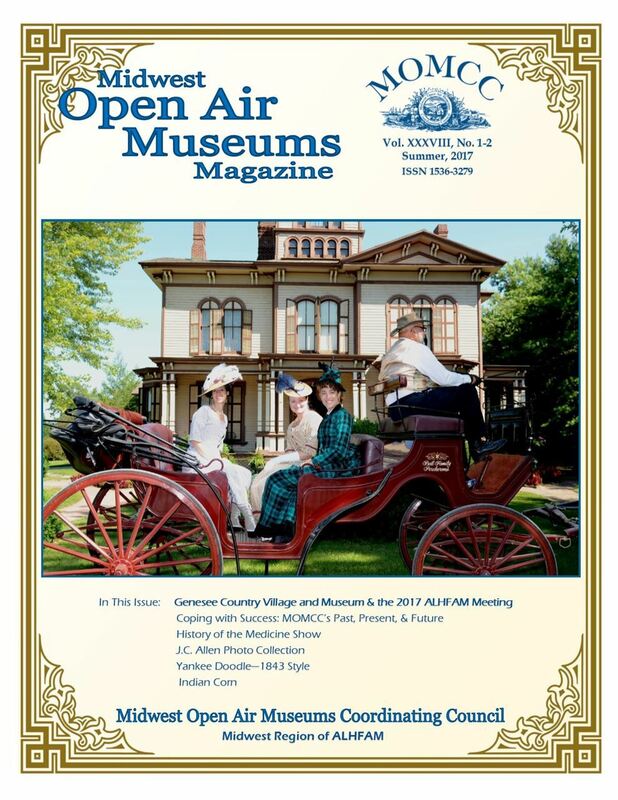 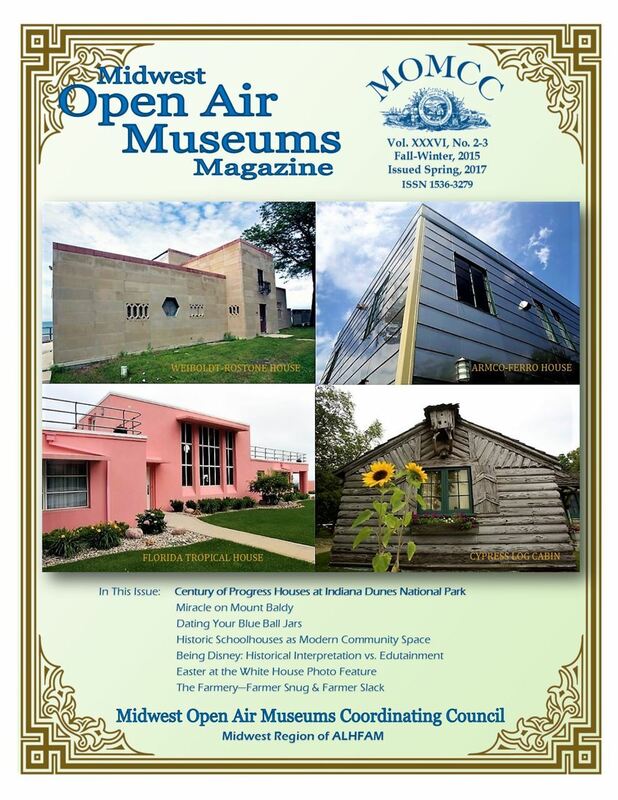 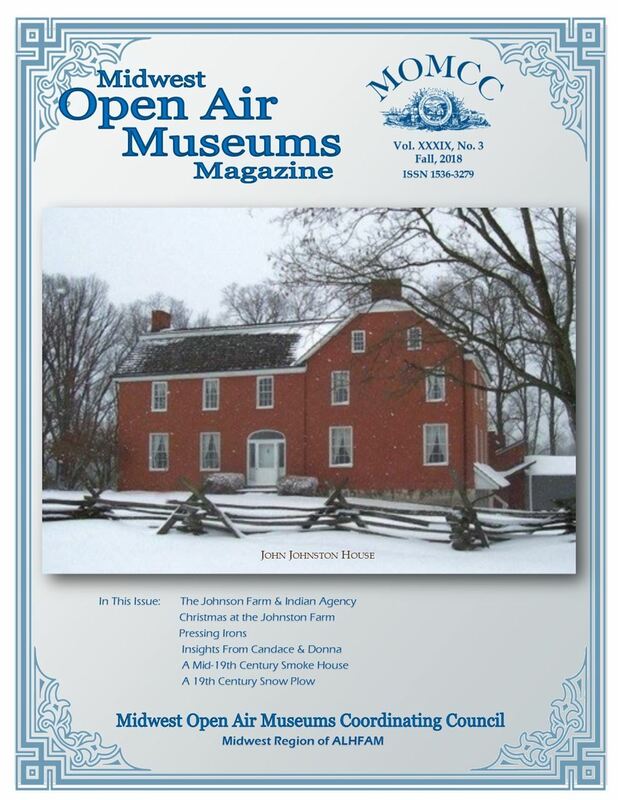 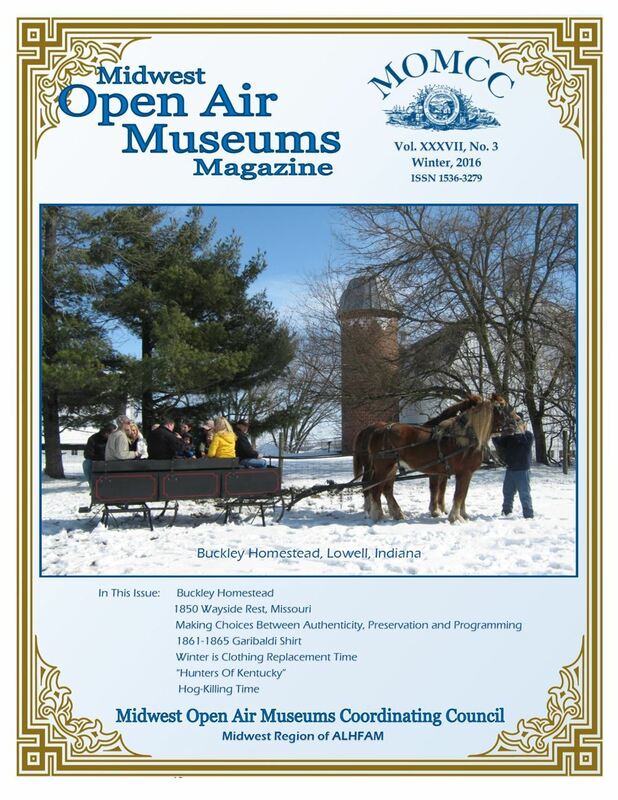 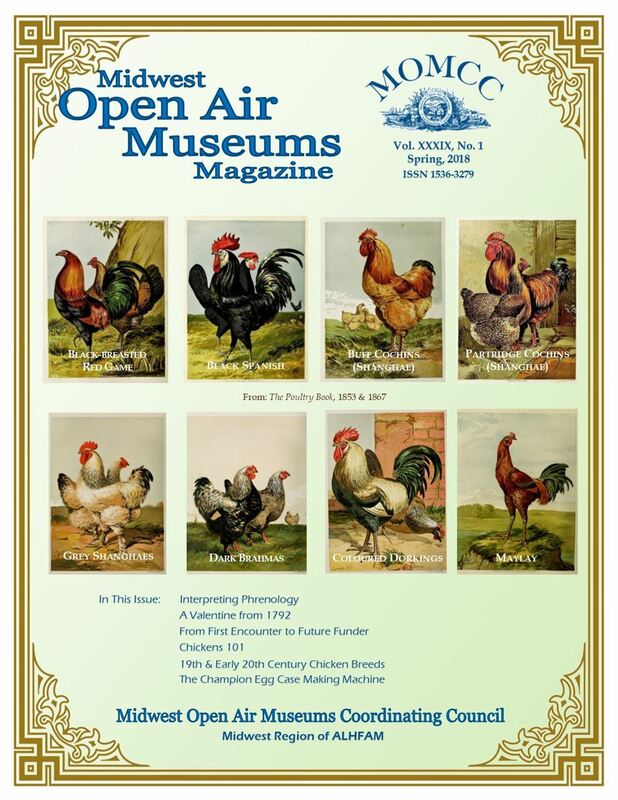 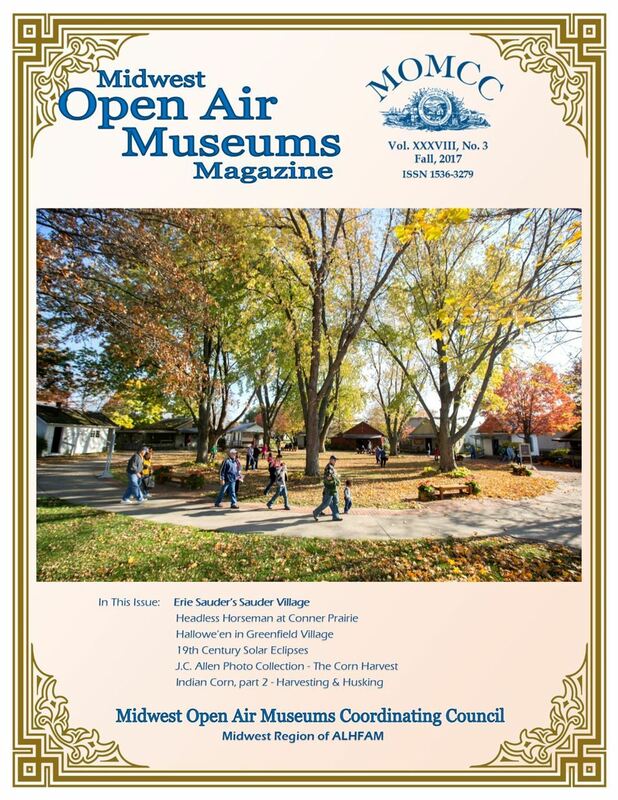 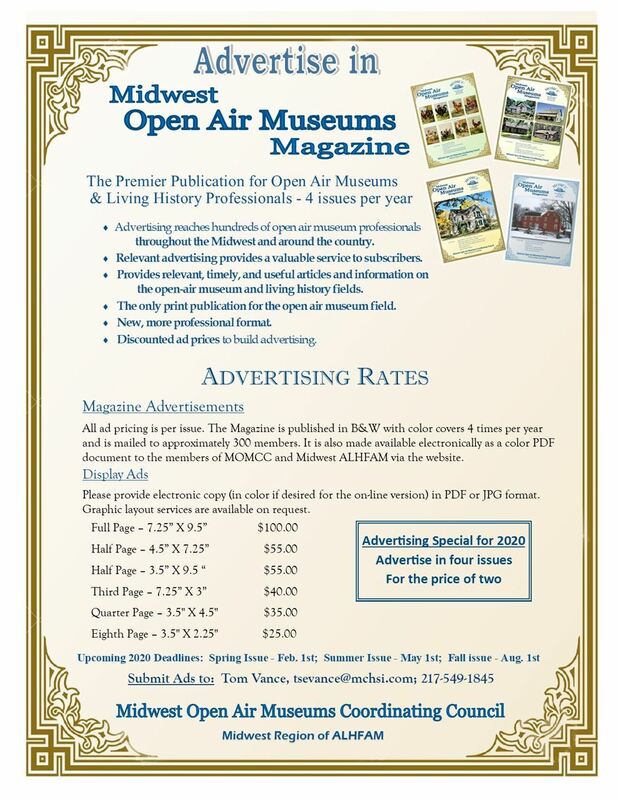 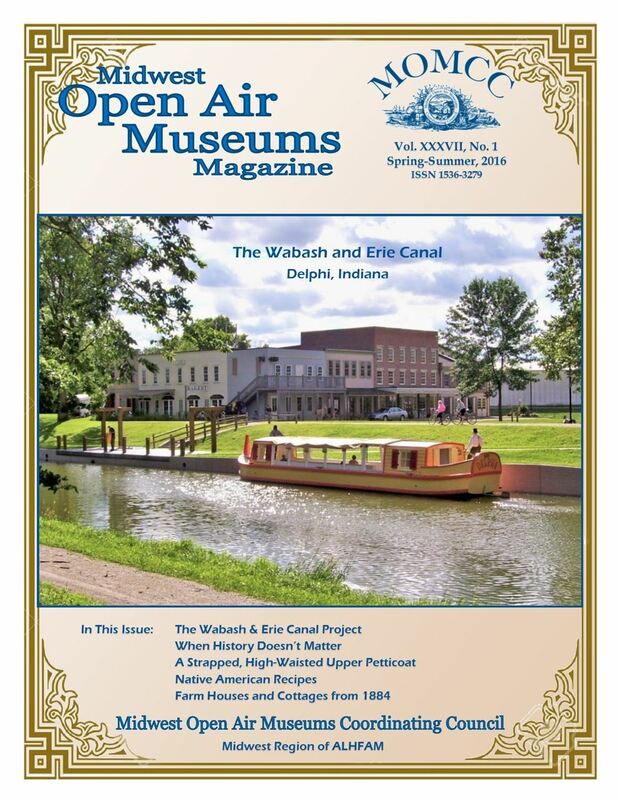 For more information regarding the Midwest Open Air Museum Magazine and article submission please contact our editor Tom Vance at tsevance@mchsi.com or 217-549-1845.